Various intake and start dates available. Call us or Contact Us. Traineeship – full-time, part-time, or school-based. School-based apprenticeships and traineeships (SATs) allow school students to work for an employer, as paid employees, and undertake training towards a qualification, whilst studying towards their Queensland Certificate of Education and/or Overall Position (OP) score. Trainees complete this qualification and learn skills at work. There are no formal entry requirements for this qualification, as per the training package. However, domestic students will need to have access to a suitable workplace for traineeship, which will need to be approved by the RTO prior to accepting enrolment. Learners should be aged 14 years or over, demonstrate a LLN Proficiency or equivalent have a minimum of 10 – 12 years of education. Reasonable computer skills and access to email and internet are strongly recommended. The format for delivery/assessment is blended delivery which will include classroom and workplace-based delivery. Do you have your USI yet? 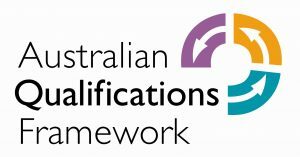 All students of vocational and educational training are required by the Australian Government to have a Unique Student Identifier (USI). If you do not have a USI, we cannot issue your Certificate, Diploma, Advanced Diploma, Statement of Attainment or Transcript. A USI also gives you easy online access to your enrolment and results information. To register for your USI click here.